Insolvency is the inability to pay debts when they are due. It also occurs when a company’s liabilities exceed the value of its assets, if you cannot readily cover these the assets into cash to repay debts. Apply this to either individuals or organizations. Insolvency often leads to bankruptcy. However, you can avoid bankruptcy if the debtor can restructure or renegotiate delinquent debt payment. Out-of-court renegotiation of delinquent debt is called a workout. There may be potential destroyers impacting the value of your company. 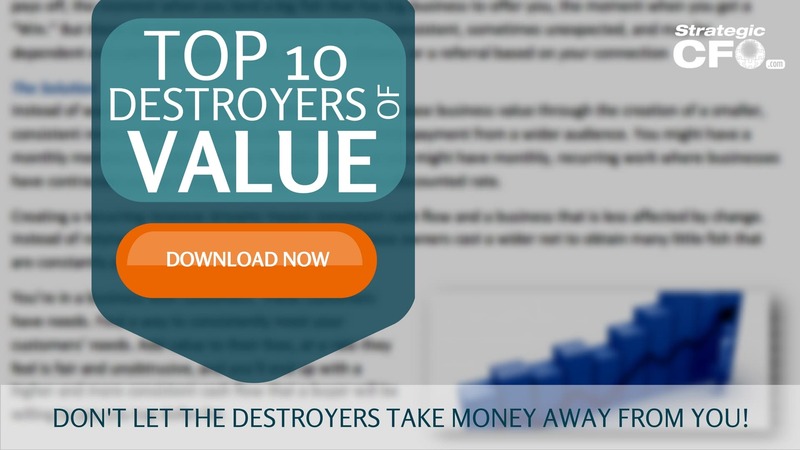 So, download the Top 10 Destroyers of Value whitepaper.